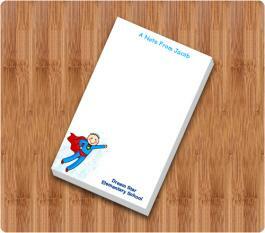 3 x 5.25 customized notepad kids can be printed in sharp and full colors and it can be sought as 50 and 100 sheets. 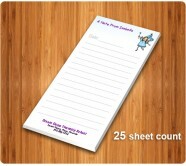 Advertisers who are targeting kids during tradeshows, through toy stores, and other kid provision stores can invest in a promotional kid’s notepad and they can offer it as a gift. They can get it personalized with images of cartoon characters, some well known caricatures, etc. And personalized kids notepads can be employed for gifting favors during birthday parties, girl’s night out parties, fancy dress parties, etc.